Here are exciting things to do in Tampa with kids when you visit this part of the southwest Florida coastline. Families will enjoy the wildlife they can watch at the Lowry Zoo Park as well as the marine life swimming at the Florida Aquarium. If you like to combine thrill seeking rides with wildlife viewing then the Busch Gardens Tampa and SeaWorld Orlando are an ideal trip. 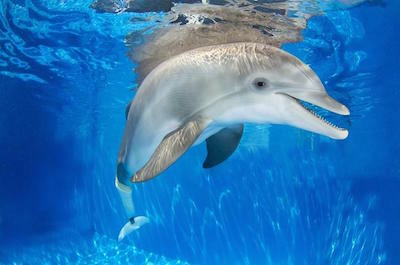 When you are interested in animal conservation then stop at the Tampa Big Cat Rescue or the Clearwater Marine Aquarium. The Glazer Children’s Museum has numerous interactive exhibits with an educational format and the Sunken Gardens is home to over 50,000 exotic plants and animals. If you are seeking an outdoor adventure then Fort De Soto Park is perfect with a historic fort, 7-miles of shoreline that includes 3-miles of white sandy beaches and plenty of facilities. When you are seeking to watch the magnificent marine life that exists around the world, then the ideal thing to do in Tampa with kids is to visit the Florida Aquarium. 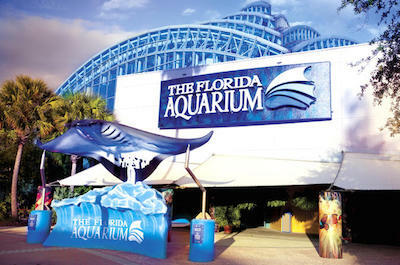 Located at 701 Channelside Drive in the Channel District of downtown Tampa, the Florida Aquarium is situated in a 250,000 square feet facility that features a 500,000 gallon aquarium which is home to over 20,000 aquatic plants and marine animals. Once you enter you will be amazed at the sheer size of the tank that houses five main exhibits which are the Coral Reef which simulates a 60-foot dive from top to bottom; Ocean Commotion features animated interviews by Raido; Bays and Beaches sports thousands of aquatic plant and animals; Wetlands Trail takes you to Florida where alligators as well as non-native Burmese pythons roam and the Journey to Madagascar boasts lemurs as well as colorful chameleons. 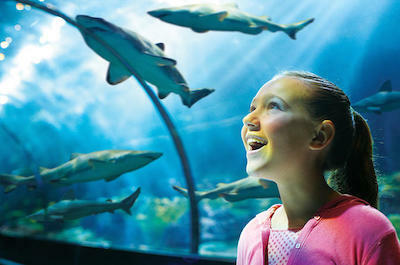 There are a number of marine oriented shows like Sea Squirt Cove, Stingray Feeding as well as a Penguin Meet and Greet. 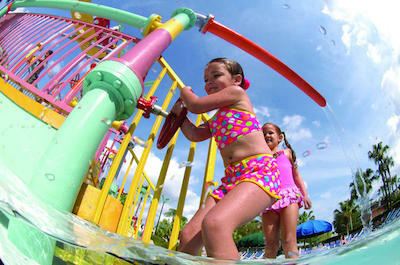 You can even add a swimming with dolphins adventure when you visit. When the kids need to blow off some steam go outside to the 2-acre Slash Pad which features water games and parents can unwind at the Tampa Tribune Cantina Bar and Grill. If you are interested in learning more about marine research which includes rescue, rehab and release, then the perfect thing to do in Tampa with kids is to plan a trip to Clearwater Marine Aquarium. Located at 249 Windward Passage in Clearwater just 40-minutes north of Tampa, the Clearwater Marine Aquarium specializes in the rescue, rehabilitation and release of marine animals. The Clearwater Marine Aquarium has sixteen interesting exhibits for people of all ages that have concerns about the marine world. Exhibits include the Winter and Hope Zone which are two rescued dolphins brought to fame by the movies Dolphin Tale and Dolphin Tale 2; Mavis’s Rescue Hideaway you can watch sea turtles, hogfish, tarpon and red fish and Winter’s Dolphin Tale Adventure exhibits movie memorabilia. Other exhibits of importance are the Otters Oasis, Turtle Cove, Stingray Beach, Shark Pass and you can watch bottle-nose dolphin at the Stranding Deck. There is an educational station with a theater which is specifically geared toward children and you can even watch live surgery by marine biologists. You can also enjoy a calm ride on a boat as well as kayak tours when you visit. If you want to experience the underwater world of the world, then the best thing to do in Tampa with kids is to visit SeaWorld Orlando. SeaWorld is situated on 200-acres where an actual marine zoological park and thrilling theme park become a mixture of pure pleasure for the whole family. Within the park you will be pleased to view thirteen distinct aquarium areas such as the Dolphin Cove, Antarctica: Empire of the Penguin, the Manta Aquarium, Jewel of the Sea, Pacific Point Preserve, Stingray Lagoon, Wild Artic, Pelican Preserve and Shark Encounter as well as a view the incredible 3D 360 degree movie called TurtleTrek which highlights the plight of these endangered sea animals. SeaWorld sports ten exciting theme rides such as the Wild Artic which simulates a jet helicopter ride, the Manta and Mako are adrenaline filled roller coasters and children will enjoy Antarctica: Empire of the Penguin as well as Shamu’s Happy Harbor. There are six performances daily that include Dolphin Days, Ocean Discovery, One Ocean, SeaWorld and Bubble Legendary present Pop as well as Clyde and Seamore’s Sea Lion High. Overall there are 30 exciting attractions from marine life to amusement rides to live animal shows which make for a fabulous day of fun. You can also upgrade your experience with two or three more stops that include Busch Gardens Tampa, Adventure Island and Aquatica World. When you want to experience the best African themed animal parks which includes several amusement park style rides in the country, then the perfect thing to do in Tampa with kids is to plan a visit to Busch Gardens Tampa Bay. 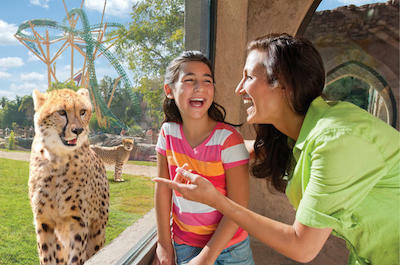 Busch Gardens Tampa Bay is situated on 335-acres where nature and animal lovers meet thrill seekers to combine for a magical day of fun. Busch Garden Tampa Bay is one of the largest zoos in North America and is home to over 12,000 animals representing 250 different species. You can experience all twelve of the animal habitats like Bird Gardens; Jambo Junction; Cheetah Run; the Curiosity Caverns; the Serengeti Plain and the Jungala where you can play tug of war with a Bengal tiger. 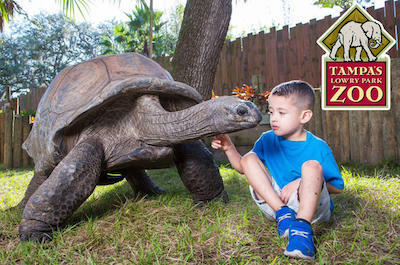 Busch Gardens Tampa Bay boasts ten different themed areas from Egypt to Pantopia to Morocco and children will be pleased with the seven children themed areas that include the fantastic Sesame Street Safari of Fun as well as Lunch with Elmo and Friends. Thrill seekers will have fun with seven distinct rides that feature zip-lines flying through the trees, roller coasters like the SheiKra which is the first dive coaster in the U.S., and the Cheetah Hunt has more than 4,400-feet of track. You can also upgrade your ticket to include two or three more exciting places like Adventure Island, Aquatica Orlando or SeaWorld Orlando for extra savings. When you want to visit one of the top rated zoos in the nation that is packed with nature and animals, then the perfect thing to do in Tampa with kids is to stop at the Lowry Zoo Park. Located at 1101 West Sligh Avenue in Tampa at exit #48 on I-275, the Lowry Zoo Park is situated on 63-acres which are home to over 1,300 animal species that range from native Florida to Africa to Asia. Once you are inside the Lowry Zoo Park you will pleased with the number of excellent viewing options within spectacular replicated habitat spaces that allow for the visitor’s to understand what type of eco-system is necessary for the animal. As you stroll you can watch the Asian Gardens where Komodo dragons and Malayan tigers roam; The Florida Wildlife Center houses Orinoco crocodiles and West Indian manatees; the Aquatic Center has sharks; Primate World boasts Bornean orangutans; the Wallaroo Station features koalas; Safari Africa sports rare southern white rhinoceroses; the Main Aviary features toco toucans and the Spirit of the Sky Raptor Show boasts Andean condors. There are plenty of concessions stands, souvenir shops and even a few amusement park rides like a carousel and Gator Falls which carries riders over Philippine crocodiles. When you are seeking a true waterpark adventure for your children, then he perfect thing to do in Tampa with kids is to take a trip to Tampa Adventure Island. Located at 10001 North McKinley Drive adjacent to Busch Gardens Tampa Bay, Tampa Adventure Island is situated on 30-acres which feature a waterpark paradise for people of all ages. Once you are at Tampa Adventure Island you will be thrilled with variety of water based attractions which includes ten thrilling and adrenaline filled waterslides like the Aruba Tuba, the Key West Rapids, the Caribbean Corkscrew, Runaway Rapids, the Everglides as well as the Colossal Curl. If you are interested in pools then try the Endless Surf where you can carve the waves and the Rambling Bayou is the perfect lazy river. Children will be pleased with Paradise Lagoon which boasts a challenging rope course, Splash Attack is loaded with fountains and Fabian’s Fun Fort which sports a water-friendly jungle gym. For those who like the sand you can play a game of beach volleyball at the Spike Zone. There are numerous concessions stands, souvenir shops and you can even rent a cabana for the day when you visit Tampa Adventure Island. If you are interested in viewing some of the oldest tropical plants in Florida, then an ideal thing to do in Tamp with kids is to visit the Sunken Gardens. Located at 1825 4th Street North within the Historic Old Northeast neighborhood in St. Petersburg, the Sunken Gardens was established over 100 years ago and features 4-acres with more than 50,000 exotic plants as well as over 500 animal species which range from butterflies to Chilean flamingos. 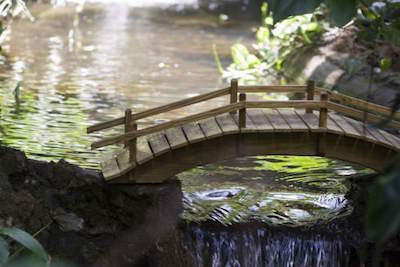 The Sunken Gardens has a beautiful landscaped area with brick paved walkways which take you through such fascinating spots as the Butterfly Garden, the Japanese Garden, the Flamingo Garden and the Cactus Garden. The Sunken Gardens boasts a Wedding Lawn, a waterfall, the Photo Ring, the Wising Well and large piece of fossilized limestone known as the Growing Stone where if you sit upon this piece of stone you will granted tranquility, talent and the inner harmony to grow as an individual. There is also the Sanitary Public Market that was added to the National Register of Historic Places in 2002 which features a Mediterranean Revival style building with twin Moorish towers and now houses a great children’s science museum entitled Great Explorations. 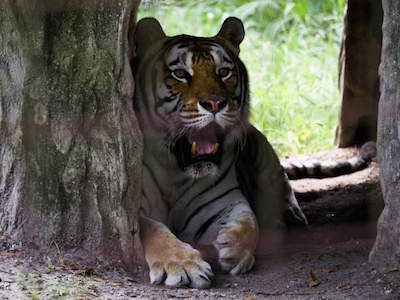 If you are interested in animal conservation that includes rescue, rehab and release, then the best thing to do in Tampa with kids is to take a trip to the Tampa Big Cat Rescue. Located at 12802 Easy Street in the Citrus Park area of north Tampa, the Tampa Big Cat Sanctuary is situated on 67-acres which opened in 1992 to rescue, rehabilitate and release abused as well as abandoned big cats. The Tampa Big Cat Rescue is home to more than 100 animals from 14 different species of big cats that include cougars, lions, tigers, bobcats, lynx, leopards, ocelots, servals caracal and has even rescued a liger (crossbreed between lion and tiger) in the past. When you visit the sanctuary you will be able to view these magnificent animals up close and personal in a controlled atmosphere that is pleasant for you as well as the big cat. You will be amazed at the actual size of some of these big cats and you will learn about conservation practices that are in place to help these animals from becoming extinct in the wild. Photo by M.M.Meeks on Flickr. 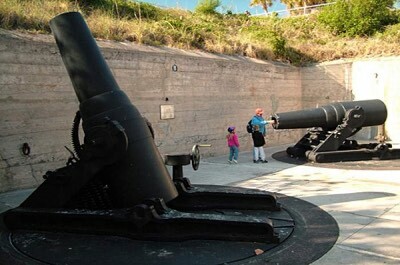 When you want to immerse yourself in history, nature and relax on a beach, then the perfect thing to do in Tampa with kids is to take a trip to Fort De Soto Park. Located at 3500 Pinellas Bayway South in Tierra Verde which is southwest of Tampa, Fort De Soto Park is situated on 1,136 acres which encompasses five different keys with different types of eco-systems. Fort De Soto Park is ideal for everyone boasting tremendous history that dates back to 1849 when the fort was first considered, 7-miles of waterfront with 3-miles of white sand beaches, a plethora of wildlife and lots of outdoor activities for you to enjoy. The park has an excellent trail system which includes a 7-mile stretch that follows the waterfront and includes the North and East Beach swim areas along with the historic fort. You can explore by canoe on 2.25-mile water trail designed for canoes and there are several short 1-mile nature trails near several picnic areas. One of the more fascinating items about Fort De Soto Park is birdwatching along the Great Florida Birding Trail where some 328 species have been found over the last 60 years. Besides the historic fort as well as beaches there are two fishing piers, ferry service, the Quartermaster Museum, campgrounds and picnic areas within the park. If you are searching for things to do in Tamp with kids that involve the great outdoors, then you should plan a trip to Little Manatee River State Park. 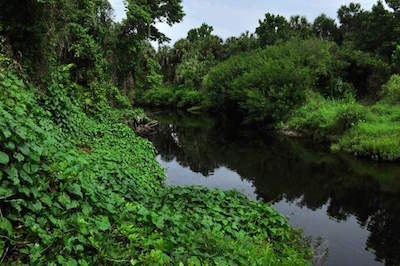 Situated 5-miles south of Sun City just off of U.S. 301 and Lightfoot Road, the Little Manatee River State Park encompasses 2,433 acres of premier Outstanding Florida Water that is within the greater Cockroach Bay Aquatic Preserve. Little Manatee River State Park is literal playground with opportunities for hiking, kayaking, fishing, wildlife viewing, horseback riding, canoeing and camping. Within the park’s eco-system you will view oxbow wetlands, oak scrub and sand pine as well as experience eleven different natural communities along the 4.5 mile stretch of the Little Manatee River. Wildlife spotting includes such species as the North American river otter, bobcats, American alligators, nine-banded armadillos and white tailed deer as well as numerous birds. The Little Manatee River State Park sports a 6.5-mile hiking trail that is one of the best hiking trails in southwest Florida for skill levels. If you like horseback riding there is also over 15-miles of mixed use trails as well as several campgrounds designated specifically for equestrians. The Little Manatee River State Park has picnic areas with tables, grills and pavilions as well as a full-services campground. If you like your children to interact and learn about animal rescue efforts while having a fun time exploring different animals, then the best thing to do in Tamp with kids is to take a trip to the Horse Power for Kids and Animal Sanctuary. Located at 8005 Racetrack Road northwest of downtown Tampa, the Horse Power for Kids and Animal Sanctuary is a combination of an animal rescue facility as well as a ranch type atmosphere that includes fabulous options like horseback riding, a petting zoo and even horse drawn carriage rides. Animal rescue efforts in the past include horses, donkeys, camels, grey crowned cranes, llamas, white tail deer and several species of reptiles. The Horse Power for Kids and Animal Sanctuary has given a home to several exotic species such as lemurs, codamundi, marmosets, wolves, red foxes and cabbybarra’s which your children can view safely. The petting zoo involves animals such as horses, sheep, goats, llamas and rabbits. Your children can also enjoy a thrilling horseback ride or horse drawn hayride through a lush forested area as they learn about the various species of wildlife that live in the surrounding eco-systems of Florida. When you are searching for things to do in Tampa with kids that involve a fun wat for you to engage your children in the history and culture of the area, then you need to stop at the Glazer Children’s Museum. Located at 110 West Gasparilla Plaza within the Waterfront Arts District along the Tampa Riverwalk, the Glazer Children’s Museum is a 53,000-square foot facility that is adjacent to the Curtis Hixon Park and Tampa Museum of Arts. Once inside your children will be thrilled with over 170 interactive exhibits to keep them learning and occupied. Most exhibits like the Water’s Journey inform children about the cycle of water with a 35-foot tall climbing structure and the Cruise Ship exhibit allows children to be the captain of their own ship and determine the destination. Other exhibits like My House, Your House are designed in a multi-cultural fashion that allows children to learn through stories, music, art and food. Other exhibits include a Firehouse, Health Clinic and Central Bank which teach children the important functions of these institutions. The Glazer Children’s Museum is the perfect place to get your child’s mind moving forward with lots of interesting exhibits to explore.